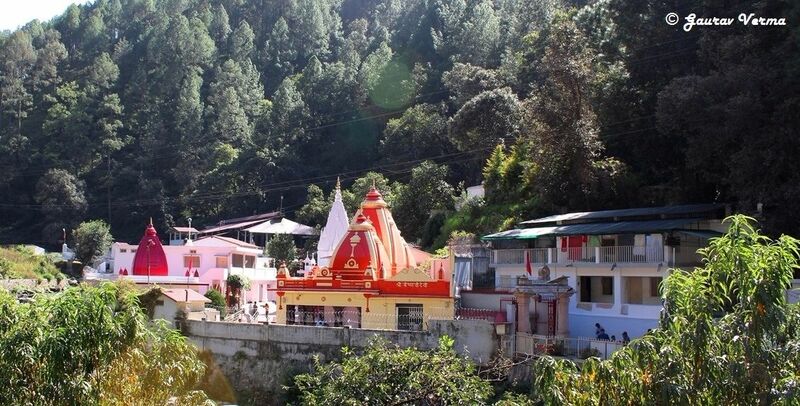 After a wonderful exploration of Almora and Pithoragarh district, Day 3 was reserved for counting the numerous temples in Jageshwar Dham and visiting nearby temples and spots. 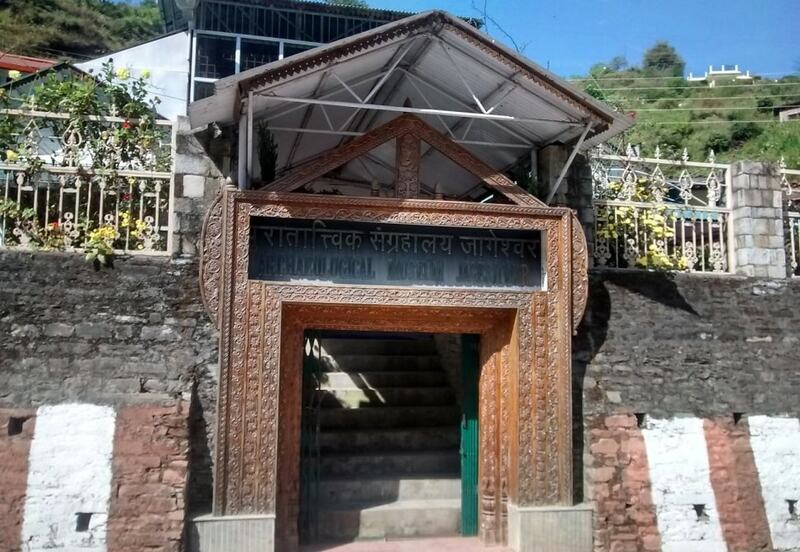 First in the list was the Jhanker Sam temple, located 6 km. from Jageshwar. Lord Jhanker Sam is an incarnation of Lord Shiva. The legend associated with this place is that Lord Shiva was meditating when lot of demons gathered to spoil his prayers. Furious Lord Shiva then opened his third eye and Lord Jhanker Sam was born out of it. He created an army of his Ganas (followers) to kill those demons. It is believed that Lord Jhanker Sam will return again to Jageshwar Dham to save humanity. Next spot was the Vridh Jageshwar temple (Old Shiva Temple), 3km. uphill trek in the hills or 16 km. by road from Jageshwar Dham. It is older than Jageshwar temples and is considered to be an abode of Lord Shiva prior to coming down to present Jageshwar. As told by the locales once King Chand saw a cow milking itself on a stone while he was going for a battle. On further checking the place a ‘Shivling (holy symbol of Lord Shiva)’ was revealed. After returning victorious from the war, King Chand constructed this temple. Temple is dedicated to Lord Shiva, also houses a status of Lord Ganesha. 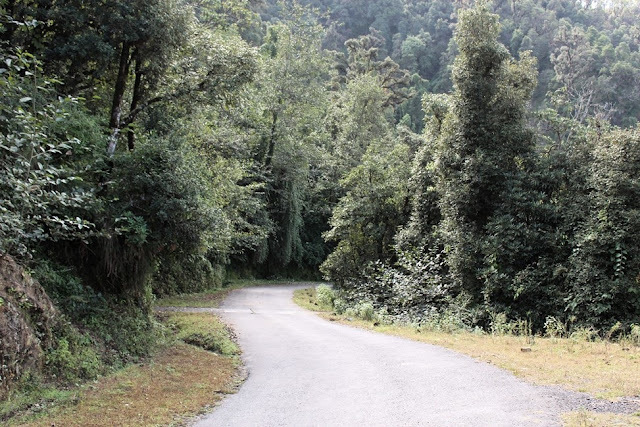 Try taking road to Vridh Jageshwar to cherish the vibrant natural beauty of the place. Being situated on the topmost point in the Jageshwar valleys, the spot offers fascinating views of the nearby hills. If there are no clouds the snow-capped Nanda Devi peaks are clearly visible from this point. And the last nearby spot was the Dandeshwar temple complex, dedicated to Lord Shiva. 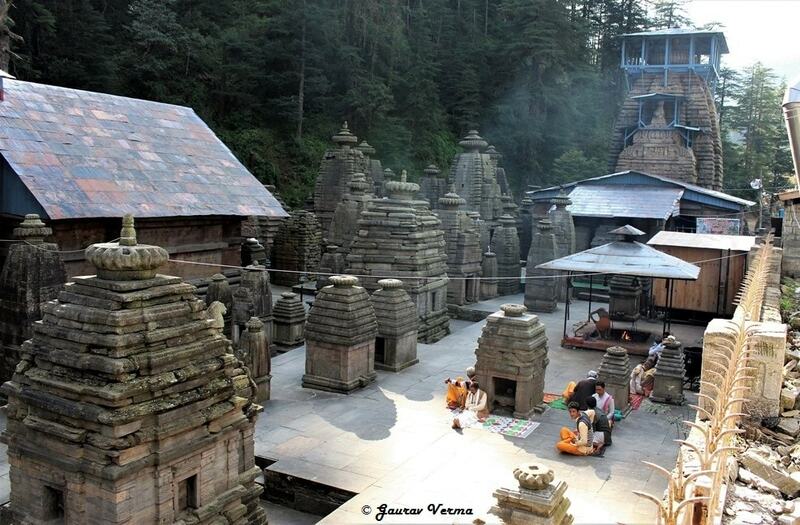 This is the biggest shrine of all the 500 temples in Jageshwar. Contrary to custom the Shivling here is a natural uncut rock. Flowing water steam and adjacent hills provide a fantasy tale setting to this temple. By late afternoon we were back at Jageshwar, the evening was totally reserved for exploring the Jageshwar temples and take part in the evening worship, AARTI at the temple. 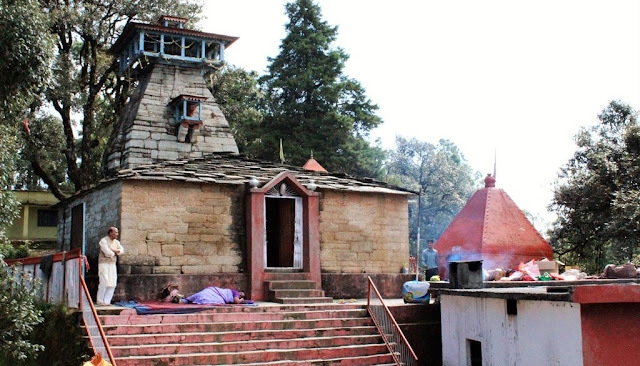 There are around 500 temples spread across the hills surrounding the Jageshwar Dham. Keep on exploring the beautiful surroundings, keep on counting the temples. This is the most beautiful complex of temples in Almora or temples in India, I have come across. Day 4: After early morning worship at the temple, we set out for return journey to Kathgodam. We had night train from Kathgodam, so we had sufficient time to cover the Katarmal Sun temple and Bhimtal. Katarmal is 16 km. from Almora town and hidden inside cluster of hills. Visit here is all joys and curiosity how such a gigantic construction took place at this spot. Once in year, the first ray of sun falling on temple enlightens statue of Sun God in the temple and many devotees from the nearby places visit this temple. 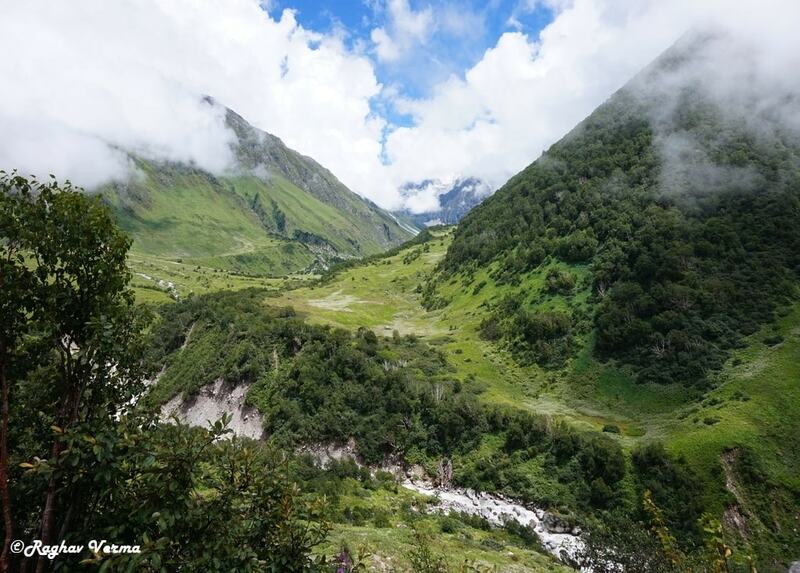 Katarmal is one of the perfect offbeat attractions in Uttarakhand. While cruising via Almora, do try the delicate sweets of this region. Bal Mithai (बाल मिठाई) is a brown chocolate-like fudge, made with roasted khoya (thickened/ dried milk by heating), coated with white sugar balls. Singori or Singauri is a sweet made with fresh Khoya and wrapped in maalu leaf. Finally, towards the end of our journey we arrived at Bhimtal. Prominent attraction here is the Bhimtal lake which is named after Bhim, the most powerful of the Pandavas. A huge lake with an island at the centre is a major attraction. 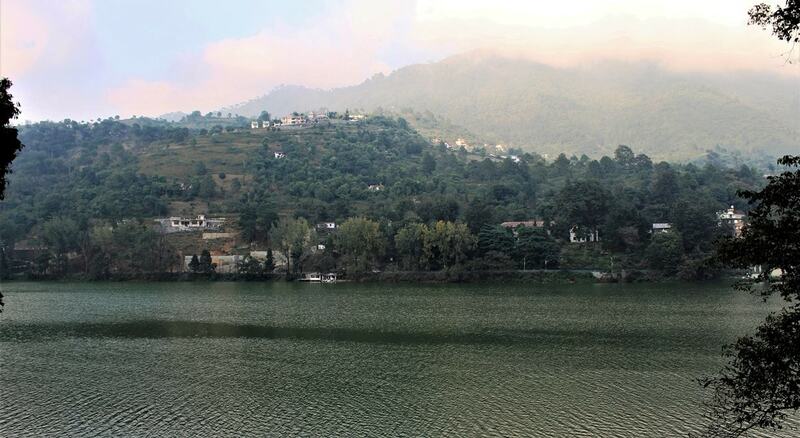 One can enjoy boating in the lake, horse riding, mountain biking and hang gliding at Bhimtal. Bhimtal is the place which connects Kathgodam to the Kumaun region and to Nepal and Tibet. It might have been the part of the famous ancient silk route. There is a big market nearby to lake and one can enjoy every cuisine in this market. After Bhimtal, Kathgodam railway station was in sight and it was the time to cherish some amazing memories which we accumulated during 4 days of exploring undiscovered Almora and Pithoragarh districts of Kumaun region. State of Uttarakhand consists of two regions Kumaun and Garhwal. Kumaun region is made up by districts of Almora, Bageshwar, Champawat, Nainital, Pithoragarh and Udham Singh Nagar. It is bounded on the north by Tibet, on the east by Nepal, on the south by the state of Uttar Pradesh, and on the west by the Garhwal region. People of Kumaun are known for their bravery, valour and indomitable spirit. They carry the title of martial race and Kumaun regiment is one of the most decorated regiments in Indian army. Nearest major centres and railway stations are Haldwani (88 km.) and Kathgodam (85 km.). Regular bus services are available from Haldwani to Almora. If you are coming by train get down at Haldwani station as most of the buses start from Haldwani. By Train: Haldwani/ Kathgodam are connected to New Delhi with regular train services. By Road: Almora is well connected by bus services from Delhi and other nearby cities. By Air: Nearest airport is at Pantnagar, 149 km. However very few flights operate for Pantnagar. Almora is a hill station in the Kumaun region of Uttarakhand. Unlike many other hill stations in India, Almora remained unknown to British. It has been preserved and developed solely by natives of Kumaun region and as a result, it is totally devoid of usual crowds at other hill stations. Almora district offers an ideal option to those looking for solitude in the arms of mighty Himalayas. 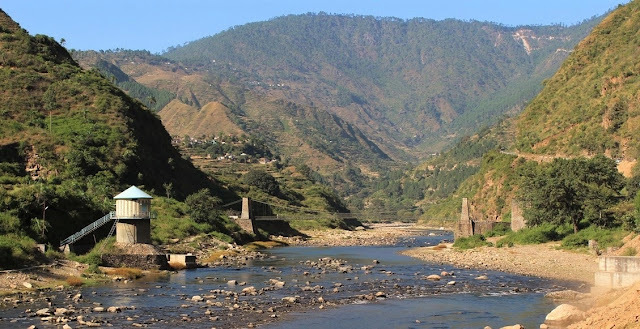 Almora is also called as land of temples and the temples are located in some of the most stunning landscapes. To enjoy the spiritual vibes along with unspoiled beauty of the undiscovered Kumaun region, we took early morning train from Delhi and landed at Kathgodam railway station at 11:40 AM. The objective was to explore the road to Almora to Jageshwar and Patal Bhubaneshwar. Outside the railway station there were many taxis available for Nainital, few to Jageshwar (120 km. from Kathgodam) but very less if Patal Bhubaneshwar was also included in the itinerary as well. Some negotiation and we were on the way to Jageshwar Dham. Estimated time for the drive was approx. 5 hours including halt at enroute attractions in order to attend the 6 PM “AARTI” at Jageshwar Dham. This started our Day 1. First spot in the way is Bhimtal (21 km. from kathgodam), but we skipped to cover during return as we had to reach Jageshwar by evening. Next spot in the way is Neem Karoli Kainchi Dham, which is 37 km. from Kathgodam and is dedicated to Lord Hanuman. Kainchi Dham was established in 1962 by the sage Shri Poornanand Ji of Kainchi village. Devotees can stay in the ashram and practice meditation. This is the same place which Steve Jobs had advised Mark Zuckerberg to visit in order to find way ahead. You will love the atmosphere and surroundings of this spot. After having some snacks in the roadside eateries, we again started our drive to Jageshwar. Exceptionally picturesque drive with dense vegetated hills and accompanying river streams was resulting in frequent halts for photography. So we decided to skip the Katarmal Sun temple (16 km. from Almora town) and not to stop in the way anymore before our next destination, Chitai Golu Devta Temple (52 km. from Kainchi Dham, 89 km. from Kathgodam). It was built during 12th century and is characterised by countless bells hung in the temple premises. Chitai temple is 6 km. from Almora town and is dedicated to Golu Devta, an incarnation of Lord Shiva. 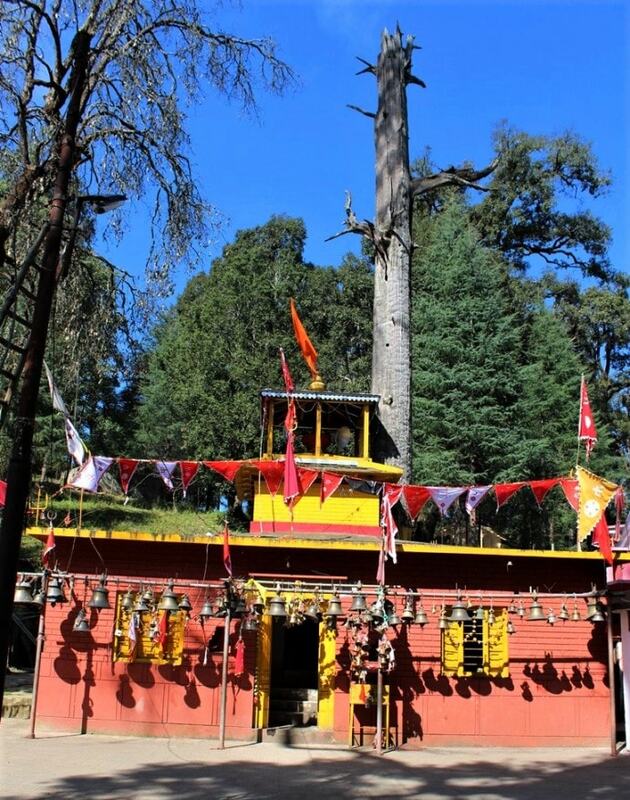 Golu Devta in the most worshipped God in Kumaun region and has reputation of granting every wish, if requested with a clear conscience. People from far off places come here and convey their wishes/ problems written on a paper which are tied around the temple premises. We came across many official stamp papers hanging around with details about the litigations. Once their wishes have been fulfilled, people come back and tie around a bell in the premises as thanksgiving to Golu Devta. Even people who have not got justice in court of law come here to seek the true justice and they have got the divine justice from Golu Devta. Now we realised why thousands of bells are hung around the temple premises. We too prayed and requested the all mighty for fulfilment of our wishes. This is one of the places which will reinforce your faith and believe in the presence of God Almighty. By now we were driving along with the mountains covered with Pine trees. Suddenly we noticed big heaps of fodder hanging around the tree trunks. Well this heap is fodder for animals for winter, when fodder is not available on the hills due to snowfall. This has been tied a little above the ground to avoid animals finishing this in summers itself. 16 km. from Almora town we came across Lakhudiyar, where painted cave shelters which were inhabited by cavemen have been found. Colour of the paintings by cavemen is till intact. Finally, we reached our destination for the day, Jageshwar Dham. Inside a small valley, adjacent to meeting point of 2 river streams (Nandini and Surabhi) and hills covered with Deodar forests, something out of the regular world. This was our destination for next 2 days. Main temple complex at Jageshwar Dham consists of 127 small and big temples. Most prominent being Mritunjaya Temple, Nagesh Jyotirlinga temple and Dandeshwar complex of temples. And yes we reached in time to attend the worship at Jageshwar Dham. 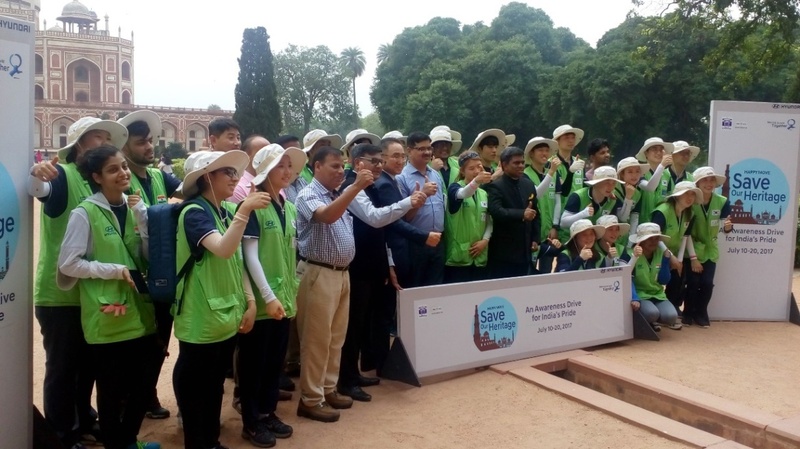 Next day, Day # 2: We started early morning for the Patal Bhubaneshwar Cave temple, which is 105 km. from Jageshwar Dham. One full day is required for this as travel time is approx. 4-5 hours, one side. During the drive we came across a truly wonderful place, unspoilt by civilisation. We were lucky to see the majestic snow covered peaks of Nanda Devi, Nandaghunti and Panchachuli. Kumaun is a region where rivers flow with clear divine waters and hills covered with Pine, Oaks and Rhododendron ensure purity of the airs. 91 km. from Jageshwar we reached at Gangolihat in Pithoragarh district. Haat Kalika Mandir an important pilgrimage centre and is worshipped as one of the Shakti Peeths. The temple is the abode of Goddess Mahakali, who is believed to shift her place from West Bengal to Gangolihat. 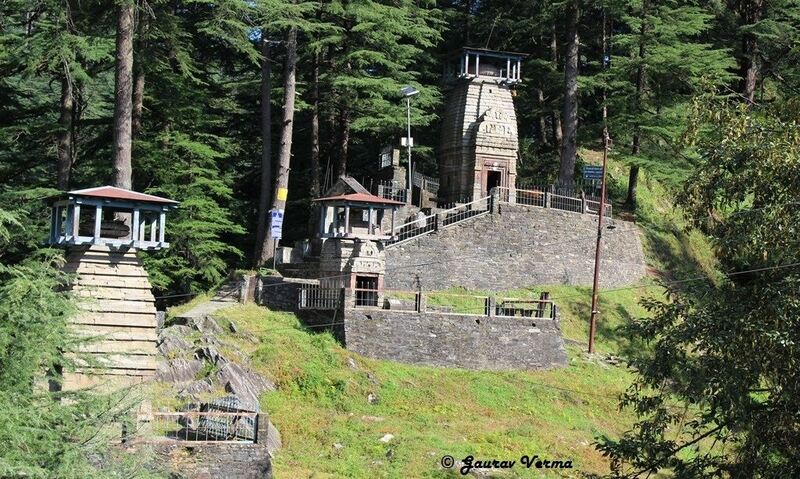 The temple is much visited by the Indian Armed Forces as well and is maintained by Kumaun regiment. Another 40 minutes from Gangolihat and we were at our destination Patal Bhubaneshwar cave temple. This is the most important spot in the Kumaun region, the limestone cave is believed to be as old as the earth itself. As mentioned in Skanda Puran Lord Shiva resides in this cave and all other Gods and Goddesses come here to worship Lord Shiva. 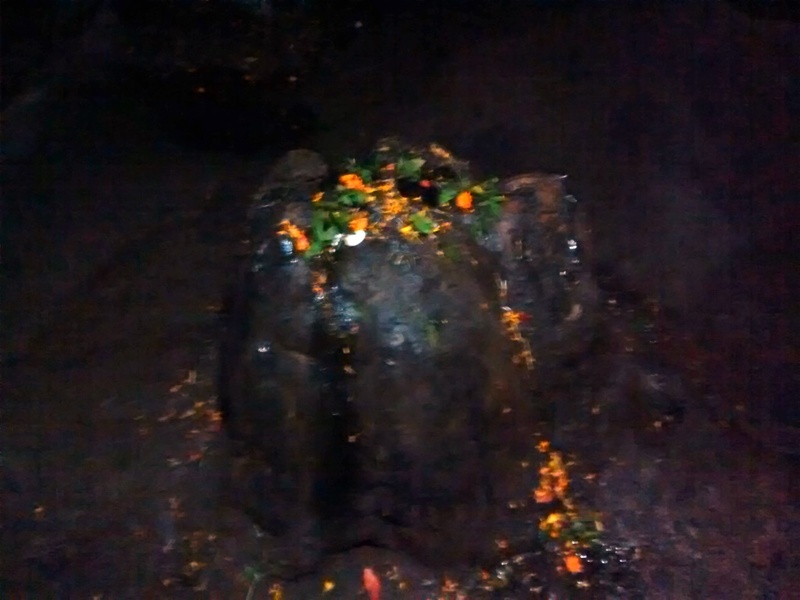 Around 822 AD, Adi Shankaracharya arrived at this cave and established a Shivlinga, for Lord Shiva. 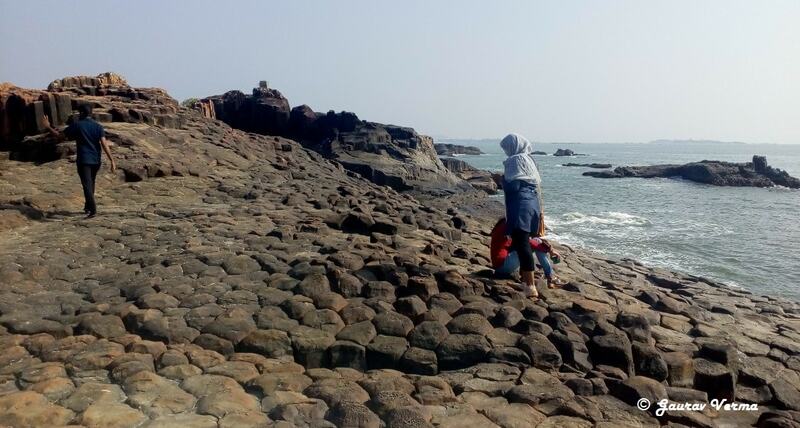 This is the place where the severed head of Lord Ganesha fall. On request of Goddess Parvati, Lord Ganesha was bought back to life. Lord Brahma had sprinkled holy water from his divine 8 petalled lotus (visible in stone) to keep sustain the body till the time head of elephant was implanted. One has to get down 30 m. underground to reach the magnificent world of Patal Bhubaneshwar Cave. Vow, it was one of the best experiences we had in our lives. Thanked Gods for such an opportunity to visit this heavenly place. Will surely come at least once more to this cave temple, that’s a promise. By the time we returned to Jageshwar it was pretty late in night. That was our wonderful Day 2. Please note that there is a filling station just at exit of Jageshwar. And there is no petrol pump/ filling station for next 70 km. till Gangolihat. Make sure you do not run out of fuel.